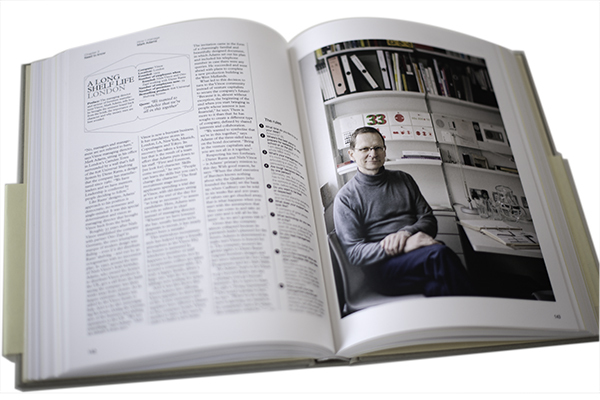 At the end of 2013 Monocle magazine launched their Monocle Book Collection with the excellent The Monocle Guide to Better Living, published by Gestalten. From better living to good business isn’t a big leap, so we were excited to pick up the next book in this series. And with so many business guides on offer these days, we were curious what type of angle have our aesthetic tastemakers chosen. Monocle stays true to their philosophy and offers an original take on the world of business: celebrating craftsmen, introducing companies with a strong sustainability agenda and curating cutting-edge working environments. Its editor-in-chief Tyler Brûlé doesn’t focus on a startup scene, neither on a ROI-driven corporate culture or bubbly VCs. Instead, he says that this book is about the “world of work” and positions it as a inspirational journey into the life of successful people who had the courage to do things differently. The first chapter opens with personal stories from people who successfully started or revived a business—a cinema in Gstaad, a clothing factory in Manchester or a coffee shop in Tokyo. This strong and engaging intro is unfortunately somewhat distorted by 50 steps to success—how to build a business, which offers generic lessons that sometime sound more like jokes (maybe they were meant to be ;-)). The second chapter focuses on learning, training, setting up-, and building a brand. It kicks off with a selection of institutions that offer an original take on education. We loved the story of Kaospilot in Denmark, an alternative business school with roots in activism, Bauhaus, the cooperative movement, beatnik culture and folk tradition. 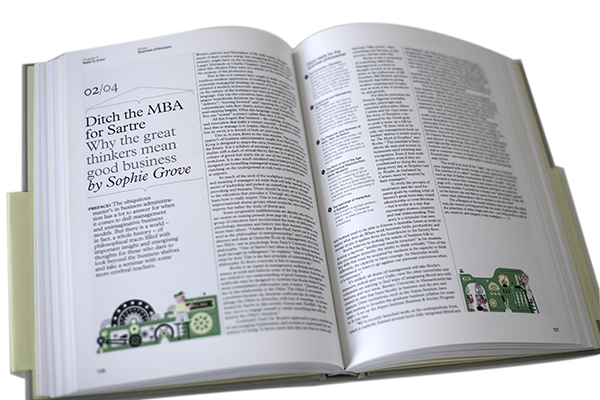 The highlight in chapter three, dedicated to Knowledge, is definitely the essay by Sophie Grove, Monocle’s senior editor and presenter of Monocle 24’s weekly business show The Entrepreneurs. Sophie advices us to Ditch the MBA for Sartre. Who are we to argue against this? Chapter four takes you on an interesting ride through Business cities, villages and rural areas where it is good to do business. 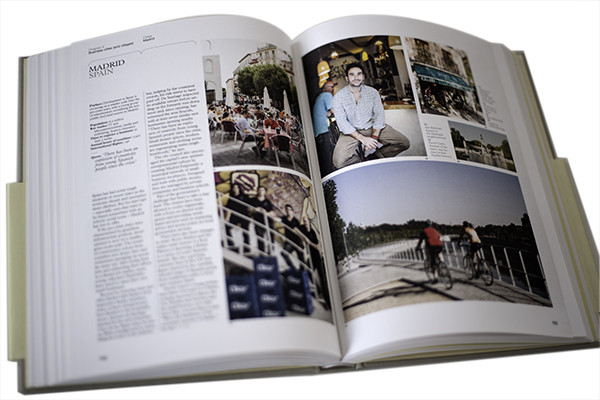 From Brisbane to Sendai, from Honolulu to Charleston, the high quality of the selection confirms how curating fascinating stories from all over the world is the bread and butter of the Monocle writers. The book continues with a text-only chapter five, called Observations. Although filled with an interesting content, we are not convinced by the design decision to use the yellow speech bubbles. 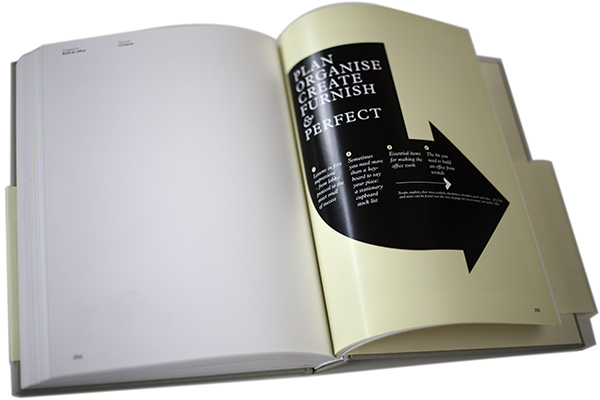 This might sound petty, but for a book so well designed, one has to wonder where did that idea suddenly come from. 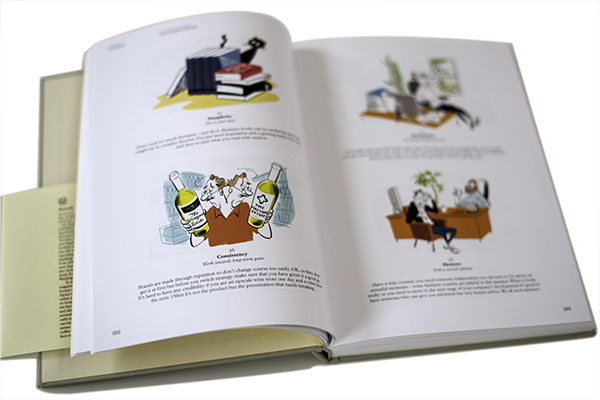 The two final chapters—Build an office and Business travel & entertainment—are ending the book on a high note with insights into interior, architecture and travel. 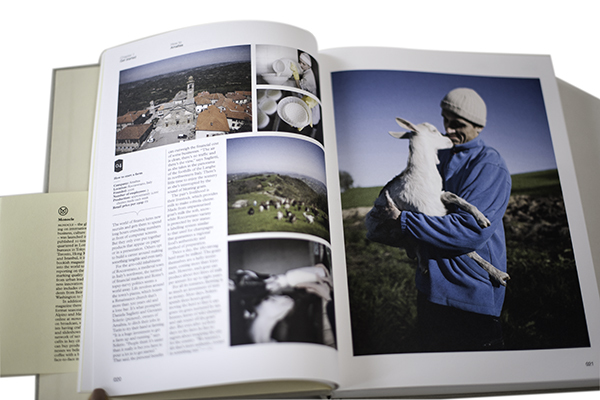 The book offers a multitude of interesting perspectives. Its diversity and optimism is refreshing and it counterbalances the often cynical and simplistic type of “bestseller” business guides which you’re likely to come across at airport terminals. Where Monocle sells itself a bit short is in acknowledging the transformative powers that are reshaping businesses. There is very little reference to the new economic era that started appearing post-2008, as well as little focus on technology and on the disruption of traditional business models. The book isn’t so much of a guide, as a manifesto. It evokes the positive sentiment of a desire to do things differently, driven by good sense, good taste and good ambitions. It might not help you to build the next billion $ business, but it will certainly offer plenty of inspiration. And that’s what it promised to do the first place. 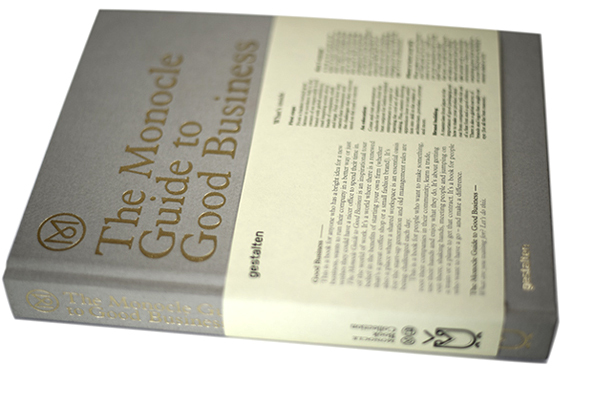 The Monocle Guide to Good Business is published by Gestalten and can be purchased on the Gestalten online shop or in selected bookstores.